Justin Drew Bieber born in Ontario, Canada, does not need any introduction. Starting from the age of 13, he has indeed achieved more than any normal guy at his age could ever dream of. 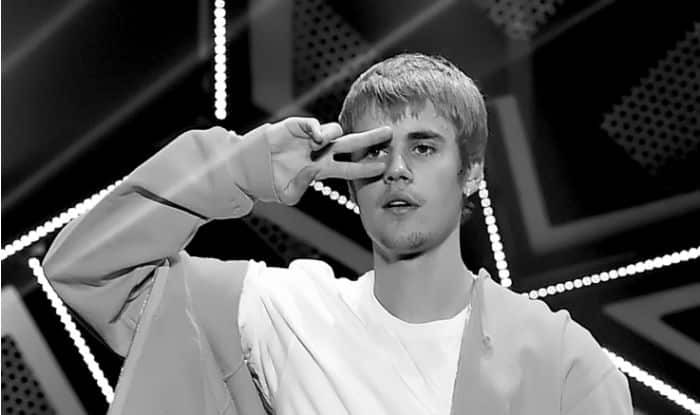 Despite having the biggest fan army in the pop music domain (popularly known as Beliebers), he is still considered the most hated pop star of this generation. (Ironic much!). We have listed down a few random facts and achievements of his life which shows that he is not called the Prince of pop music for no reason. Belieb us!! Imagine going to a restaurant, ordering food, enjoying your time and afterward when you go to pay the bills you see YOUR OWN face on it. Sounds impossible? uh-huh not for Bieber. Birthdays are undeniably the most celebrated time of anyone’s year. You get treated like it’s probably your last day on earth, “ask whatever you want to, it’s your birthday” do whatever you want, it’s your birthday”. But the most interesting and the exciting thing about birthdays, I guess, are the messages you get on your B-day. No kidding, I mean you get to decide who is your true friend and who you gotta move into your hit list based on that. Bullying is something that could not just hurt people emotionally or maybe in the worst cases physically but it could also give them a scar that they will never be able to remove; a scar that will haunt them for the rest of their lives making them miserable and pathetic. Every kid goes through this in one way or the other, and Justin was no different. He used to get bullied in school for always wearing the same shirt, basically for being poor. Well, the joke’s on bullies now, because he owns so much money that would take all those bullies their entire life to count. He is estimated to have a net worth of $265 million. Which is just $265 million dollars more than I have. *looks at the bank balance and sobs*. Moral of the story is you should never treat anybody badly because you never know just when and how they might come out as rich, successful and hot. Just like our homeboy Bieber did. Most of us dreamt of doing amazing, daring and often time’s weird things on our 18 birthdays to make it memorable. Justin Bieber? Well, he just decided to break some records. Nothing huge. With an outstanding career, Justin owned three chart-topping US albums BEFORE he reached his 18th birthday making him the first solo artist ever to have three no. 1 albums before turning 18. With the release of his most awaited album Purpose, Justin has proved to the world, it is high time now that his hard work and his music should be taken seriously. His new album purpose has an audibly mature sound that went hit beyond his crazy amount of fan base. With people starting appreciating and recognizing him and his talents, his songs rapidly climbed up the ladder of charts. The first single of the album “What do you mean?” became an instant hit all around the world in a blink of an eye. On the online music service Spotify, the song was streamed more than 30,723,708 times between 28 August and 3 September 2015. Moreover, the album has now reached 4 billion combined streams on Spotify making it the first album in history to do so. He is also, the only artist in the world to have three songs with over 1 billion stream. We all love our friends right? I mean it’s a very special kinda bond that you share with your best friend, you literally feel like you have adopted a child of your own for you love them just so much. And we often times, do things to make them happy, to console them or maybe to protect them. But would you ever consider shaving your head for your friend, to support him/her through the thin times? Maybe yes or maybe not. Justin Bieber however, shaved his head when he was a mere 12 years old because he did not want his friend who had cancer to feel lonely (this right here, is an awww moment). At the age of 12, I guess, I did not even understand the meaning of friendship and care, because I was too busy watching Pokémon (do not judge, you weren’t any different, I know). Anyway, seems like Justin was way ahead of his age with a heart so big. Can you imagine being so famous, people literally tweet about you so darn much that your name just would not come off of the trending list? No? well, then we are on the same page because I can’t either. But Justin Bieber can. Twitter literally had to block his name (temporarily though) from the trending list because he was trending straight for 3 months. Whoa! Now, that is called Bieber-power at it’s best. It’s only fair to judge him as an artist instead of throwing shade at him and assassinating his character . Growing up in front of the whole world is anyways extremely difficult.You might also like 7 People Who Made It Big Despite the Odds and 8 Surprising Acts Of Kindness By Celebs.